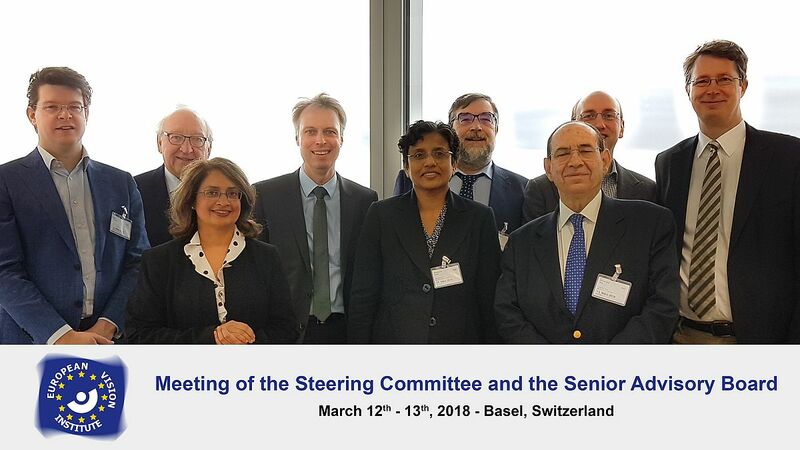 From 12-13 March 2018, the Steering Committee and Senior Advisory Board of the European Vision Institute EEIG (EVI) met in Basel in Switzerland. Front row from left to right: C. Boon, F. Cordeiro, S. Sivaprasad, J. Cunha-Vaz. Rear row from right to left: C. Cursiefen, S. Fauser, T. Wheeler-Schilling, H. Scholl, E. Zrenner. After the initial meeting at last year's EuRetina in Barcelona this was the first time since the restructuring of EVI that all member were present after the new formation effective October 1st, 2017. Furthermore, Dr. Thomas Wheeler-Schilling serves as CEO of the European Vision institute. Major themes of the meeting were the thematic and structural fragmentation of the European Vision Research and Ophthalmology community. What are future steps to overcome this situation? Core competences of the EVI should be kept and further developed. New initiatives by the Steering Committee will be announced within the coming months.